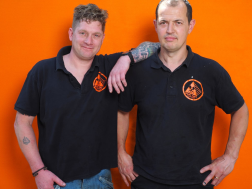 Nigel and Steve who have been friends for 37 years long shared an interest of motorbikes, cars and vans and between them have over 25 years of involvement in mechanics. Nigel moved to Wotton over 20 years ago from Amberley near Stroud and soon integrated into the community by serving 7 years as a Firefighter at the local station and also helping on some community projects. Steve is a keen Mechanic and has worked at an MOT garage for the last 12 years.We're keen to offer excellent value and honest service to the local community.We are able to offer free local collection/delivery within the local area.